American Hakko Products (Hakko) announced yesterday the availability of the new FT-8002 Conversion Kit and the discontinuation of three products. Further moving customers to their newer products, the discontinuations included the FT-800 Thermal Wire Stripper, the FT-8001 Handpiece for the FT-800, and the HJ3100 Silencer. The Hakko FT-8002 Conversion Kit is ESD-safe and allows the FT-800 Thermal Wire Stripper to use the new, ergonomic FT-8002 Handpiece and the new, more durable G2 Series blades (blades not included with this unit). The FT-8002 Conversion Kit (part number FT8002-CK) includes the FT-8002 Handpiece (FT8002-01), the FT-8002 Handpiece Holder (C1573), the FT-8002 Lead Adjuster (B3644), and a Blade Removal Tool (B3648). The new FT-8002 Handpiece has been designed with operator comfort, durability, and cooler operation in mind and uses the new G2 Series blades. The older G1 Series blades may require minor adjustments if used with the new FT-8002 Handpiece. G2 Series blades used in the older FT-8001 Handpiece may experience rotational play when inserted and it is therefore recommended that the FT-8002 Conversion Kit be used when using the G2 Series. Please note: Because of differences in the FT-8002 Handpiece Holder versus the FT-800 Holder, the Sleep and Auto Power Off functions are disabled when using the FT8002-CK. 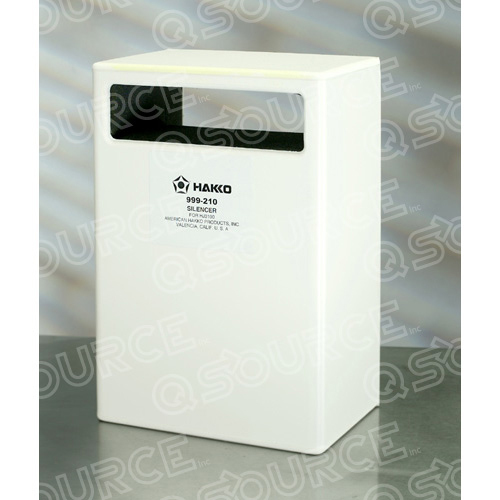 For more information, or to purchase, the Hakko FT-8002 Conversion Kit, please call Q Source at 800-966-6020. With the release of the FT-801 Digital Thermal Wire Stripper, Hakko has discontinued the FT-800 Thermal Wire Stripper and the FT-8001 Handpiece for the FT-800. Existing FT-800 users can replace their FT-800 Handpiece with the FT-8002 Conversion Kit, which will also allow them to easily transition to using the new G2 Series blades. Hakko recently discontinued the Hakko HJ3100 Fume Extraction System and replaced it with the much quieter FA-430 Fume Extraction System. Now, they've discontinued the HJ3100 Silencer (999-210) citing lack of market demand and the low-noise output of the Hakko FA-430. For more information about any of these topics please visit HakkoUSA.com. And remember to check back with The Q Source Resource often for more industry news, product information, feature articles, and more. Tektronix, Inc. announced yesterday the acquisition of Optametra, LLC. The combination of Tektronix' next generation of performance oscilloscopes and Optametra's coherent testing expertise aims to create best-in-class analysis and performance tools for addressing developing coherent optical standards. Details of the transaction were not released. Tektronix, headquartered in Beaverton, OR, has provided test, measurement, and monitoring solutions to engineers for more than sixty years. Optametra, founded in 2007 and headquartered in Madison, WI, creates instrumentation that allows customers to develop, manufacture, install, and monitor complex modulation transceivers. For more information, or to purchase, Tektronix products, please visit QSource.com's Tektronix page or give us a call at 800-966-6020. 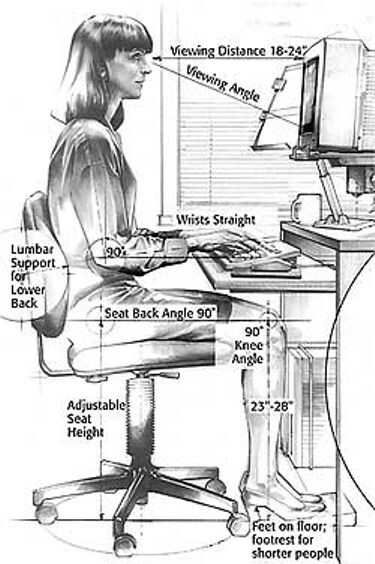 According to OSHA (Occupational Safety & Health Administration), "Ergonomics is the science of fitting workplace conditions and job demands to the capabilities of the working population." Studies have demonstrated that ergonomically challenged workstations can lead to medical problems and contribute to loss production and related costs. Improperly equipped workstations can interfere with the powers of concentration. Sitting for many hours motionless at a workstation can put a strain on the human body—especially the eyes and muscular skeletal system. "Common examples of ergonomic risk factors are found in jobs requiring repetitive, forceful, or prolonged exertions of the hands; frequent or heavy lifting, pushing, pulling, or carrying of heavy objects; and prolonged awkward postures," says OSHA. The precision work found, for example, in microscopy-related tasks requires rapid and small muscle contractions, coordination in muscle movements, concentration, and visual inspection. The body stresses at these types of workstations are caused by the user’s body positioning and the nature of the work. Studies show that a hunched position at a microscope can cause muscle cramps in the neck and back and related disorders to the spine. 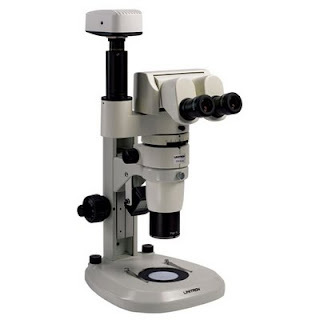 If a microscope user’s head position has to be matched to the viewing height of the microscope, the resulting discomfort may lead to medical problems as well as a decrease in productivity. 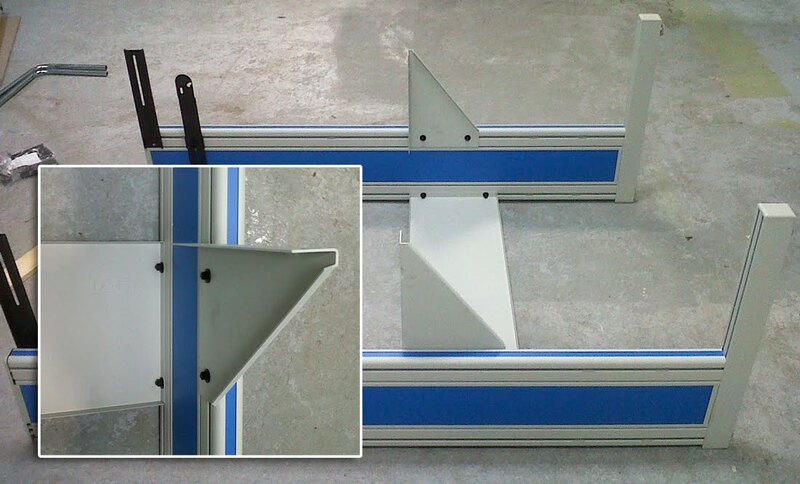 To achieve a comfortable head position the viewing height should be compatible with the user’s body. For more information about Unitron's ergonomic stereo microscopes and other ergonomic workstation solutions visit QSource.com's Unitron Ergonomic Z10 Series Stereo Microscopes page or call our helpful experts at 800-966-6020. The Q Source Resource expresses our gratitude to Heston Singh, Business Development Manager for UNITRON, for the writing and research he contributed to this article. In our latest "On the Bench" video, Omar López, Q Source Territory Account Specialist in Eastern Mexico, shows us how easy it is to assemble an IAC Dimension 4 Workstation. These workbenches are durable, customizable, and fully adjustable for efficiency and personal comfort in an assembly environment. 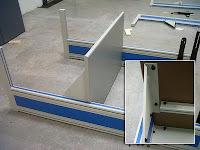 You can also view a step-by-step tutorial with pictures for assembling an IAC Dimension 4 Workbench in our previous blog article. 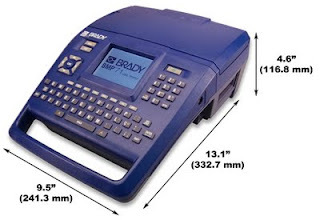 Brady BMP™71 Portable Thermal Label Printer, a set on Flickr. 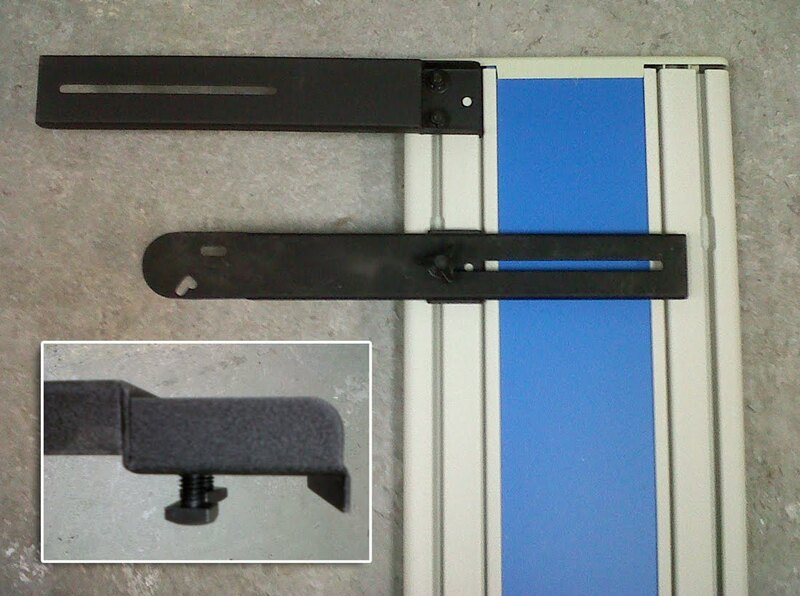 Here are some photos of the Brady BMP71 Portable Thermal Label Printer on the Q Source Flickr Photostream. This printer offers more than 400 different label options, including barcodes. Assembling a workbench can be a daunting task, but it can be made a lot less stressful by using the correct tools and with the help of a few expert tips. Let's look at one example of how Q Source's experts use their knowledge and experience to make assembly jobs easier. Recently, our Eastern Mexico Territory Account Specialist, Omar López (follow on Twitter @vallo7173), assembled a number of IAC's Dimension 4 Workstations for one of our Mexican customers. In the following special tutorial (also available soon as a video on our YouTube channel), Omar shares his expertise and tips for a quick, problem-free assembly process. At the unboxing stage, Omar reminds us to check that all workstation components are in good condition. 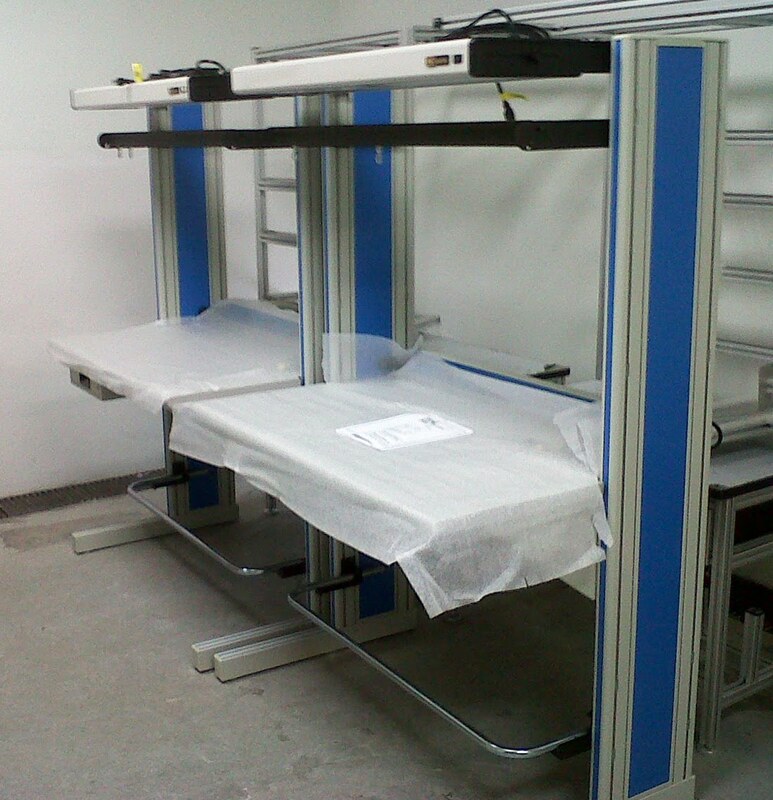 "IAC workstations are fully adjustable for personal comfort and efficiency in an assembly environment," he says. and two wrenches: sizes 7/16" and 1/2"
And, if you will not use be using the workstation immediately, be sure to cover it to prevent any damage. 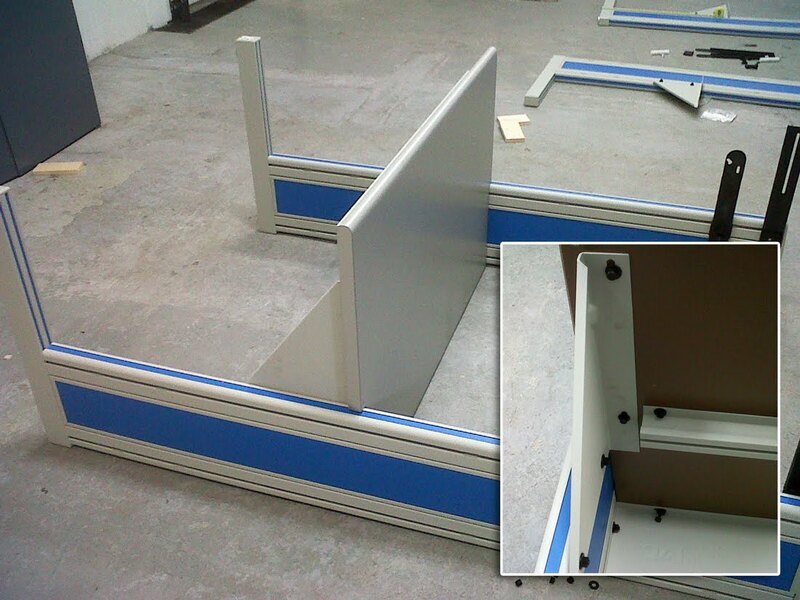 Remember not to use any abrasive cleaners on the new IAC workbench, and always lift the unit to move it. Never drag it! There we have it! Thanks to Omar, and his very helpful tutorial, we have a shiny, new workstation completed and waiting for an operator. For more information on IAC Dimension 4 Workbenches, or to make a purchase, please visit QSource.com or give us a call at 800-966-6020. Using bar codes is an easy and efficient process for inventory control, 5S/Lean initiatives, logistics, and tracking just about anything around the workplace. The Brady BMP™71 Label Printer makes barcode label printing quick, easy, and portable. The QWERTY keyboard and full-color screen, combined with the built-in barcode application, makes it easy for the user to view and create customized barcode labels in just seconds. The BMP71 can print two of the most common types of barcode labels: Code 39 and Code 128. We'll take a closer look at the BMP71's barcode printing capabilities in an upcoming YouTube video in our "On the Bench" series. Because of its compact size and portability, the user can take the BMP71 Label Printer with them wherever barcode labels are needed. 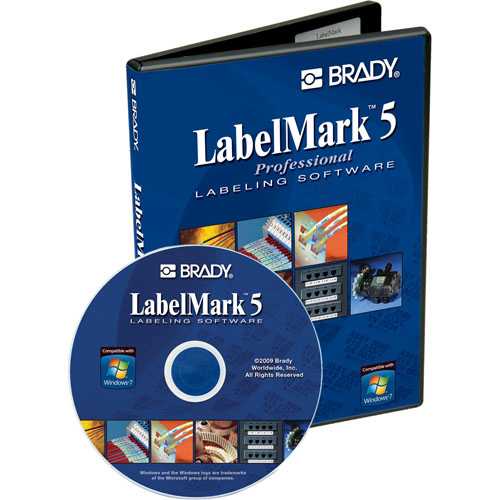 If the print job requires a large number of barcode labels, they can be created ahead of time by connecting the BMP71 via USB to a Microsoft Windows® PC running Brady's LabelMark 5 software. More than 100,000 created label files can be stored internally in the BMP71's built-in 200MB of memory. This rugged and versatile label printer is suited for a variety of applications and can print on all of the more than 400 different label types available. The BMP71 is fast (1.5" per second), easy to carry (weighing in at just 5.5 lb., with battery), and prints quality (300 dpi) thermal transfer labels on the go. 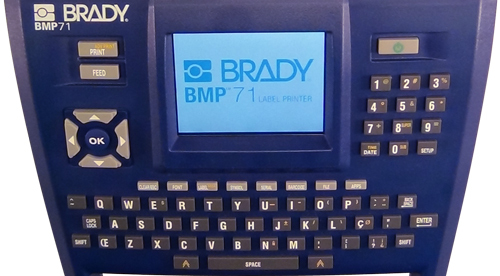 Lightweight, but made to hold up in an industrial environment, the Brady BMP71 Label Printer's built-in templates/wizards, high-quality/industrial-strength labels, and numerous applications set it apart from other printers as an inexpensive solution for most printing needs. Whether it's for barcode labeling, or a host of other uses, the BMP71 offers all the features of a desktop printer with the convenience of a portable. Visit QSource.com's Brady BMP71 Label Printer Store for more information or to make a purchase. The store offers a complete collection of labels, ribbons, accessories, and seven different BMP71 Label Printer packages to meet any portable printing challenge. IAC Workbench Install - Mexico - 2010/11, a set on Flickr. Q Source Territory Account Specialist Omar López recently oversaw a large installation of IAC Workbenches, along with other items, for one of our customers in Mexico. You can learn more about IAC workbenches and request a professional needs analysis & consultation by calling Q Source at 800-966-6020. Photos from a 2010/11 IAC workbench install in Mexico by Q Source Sales Associate Omar Lopez. Continuing to move their focus to the new FA-430 Fume Extraction System, American Hakko Products (Hakko) announced that, because of inventory depletion, the Hakko HJ3100 Pre-Filter (part number 999-136) has been discontinued. The new pre-filter (A1585) is compatible with both the HJ31001 Fume Extraction System and the FA-430. The new A1585 Pre-Filter is sold in packs of 10 and provides filtering efficiency equal to or better than the 999-136. 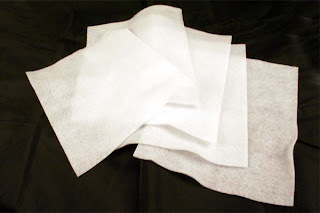 The only visual difference in the new pre-filter is a change in size and material weave. 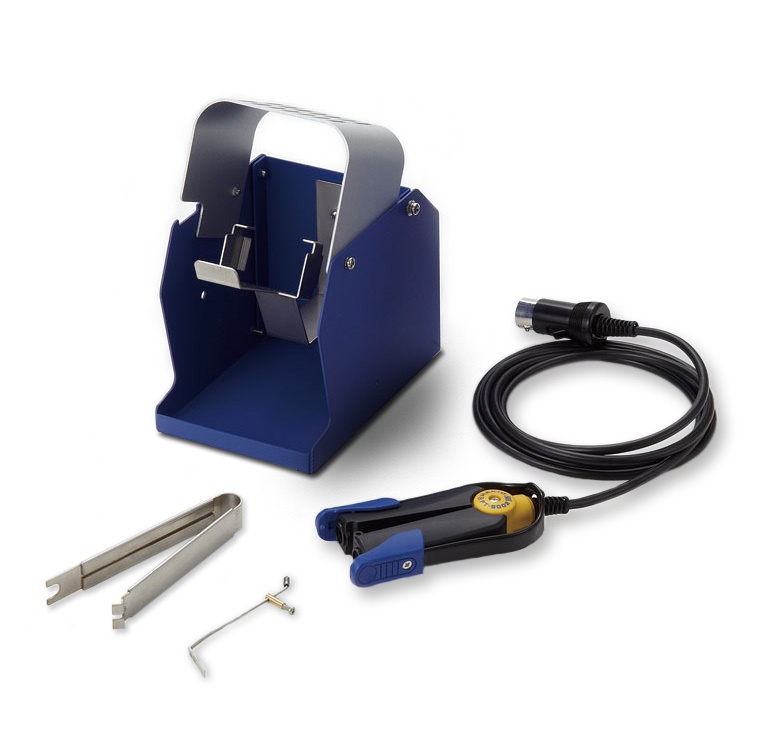 The new pre-filter and new A1586 Main Filter (using the available free adapter) for the Hakko FA-430 Fume Extraction System are backwards compatible with the HJ3100. Check out our previous blog post for a great deal on the HJ3100 Fume Extraction System. Please see our previous posts for further information about the Hakko FA-430 and HJ3100 Fume Extraction Systems. Outside industrial work isn't a day at the beach, but that doesn't mean those workers don't need to take the same precautions against overexposure to the sun. 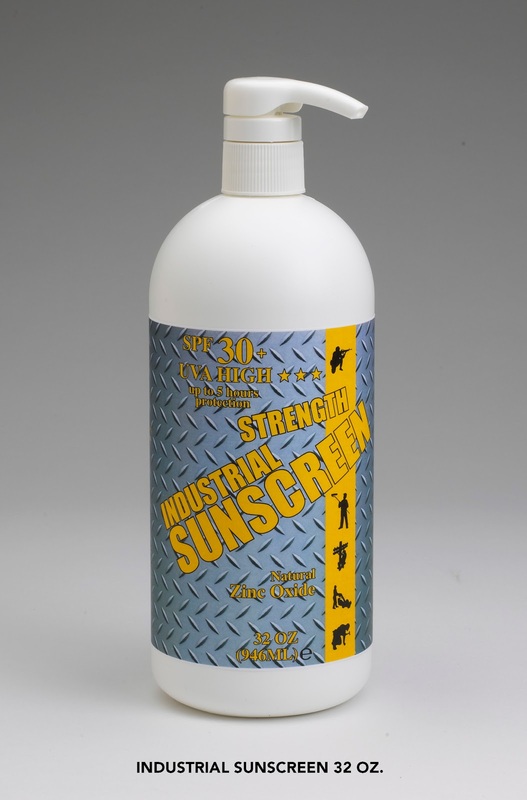 Sunscreen protection is just as important for outdoor workers as it is for sunbathers. The biggest risk of overexposure to the sun's ultraviolet (UV) rays is skin cancer. According to the California Department of Public Health, one in five Americans will be diagnosed with skin cancer in their lifetime, and more than a million new cases are expected each year. Other studies show that outdoor workers face a higher risk of skin cancer and that they develop twice the number of non-melanoma skin cancers than indoor workers. There are many types of cancers that can affect the skin, but the three main types are basal cell carcinoma (BCC), squamous cell carcinoma (SCC), and melanoma—which is the deadliest form. Outdoor workers' prolonged exposure to two forms of UV sunlight (UVA and UVB) put them at higher risk for these cancers. The UVA ray, or Ultraviolet A, is a long-wave ray that causes hidden, long-term effects like premature aging and penetrates deep into the skin affecting the squamous and basal cells. 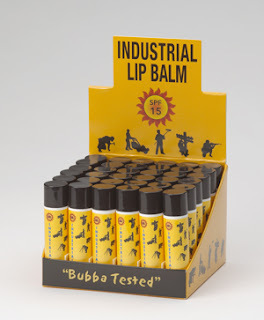 UVA is now believed to be a major contributor to skin cancer. The UVB, Ultraviolet B ray, is a short er wave that only penetrates the outer layer of the skin, but also causes sunburn, aging, and skin cancer. "Of all the factors that affect your risk for melanoma, sun exposure is only one within our control," said Timothy Turnham, Ph.D., executive director of the Melanoma Research Foundation. "When you're working outside, it’s easy to focus on the task at hand and overlook your personal safety. Wearing protective clothing and generously applying (and re-applying!) sunscreen on all exposed skin, even when it is cloudy, is critical to protecting your skin from potentially deadly damage. 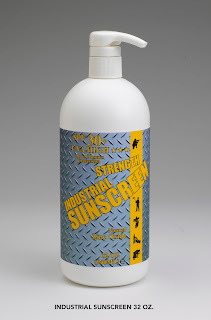 Always look for sunscreen that has at least SPF 30 and offers broad-spectrum protection from both UVA and UVB rays." When people think of sunscreen they immediately think SPF. The SPF (Sun Protection Factor) was introduced in 1962 and is a measurement of how effective the sunscreen is in blocking UV rays and for how long it will allow a person to be in the sun without burning. Of course, this is not a definitive answer considering that most people do not apply the recommended amount of sunscreen and don’t reapply every two hours as recommended. Another thing to consider when choosing an SPF, is that an SPF of 50 or higher does not protect significantly better than an SPF of 30. Most recommendations for sun protection mention a minimum of SPF 15 or higher, with SPF 30 (which absorbs about 97% of the UV rays) being the most common suggestion. It is also recommended to choose a sunscreen that contains mexoryl, titanium dioxide, or zinc oxide as the main active ingredient. 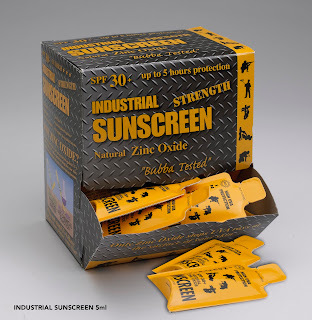 The Environmental Working Group has an excellent tool for choosing the right sunscreen. By following these steps and performing monthly self-exams on their skin (checking for abnormal moles or growths) outdoor workers will better protect themselves from sun damage. Employers can also help protect their outdoor workers by offering information about sun protection, providing sunscreen, and encouraging its use. WebMD - Sunscreen: Are You Really Covered? The Q Source Resource thanks Dave Morrill, Assistant Operations Manager/QC of R&R Lotion, Inc. for his contributions to this article. Happy Independence Day from Q Source!